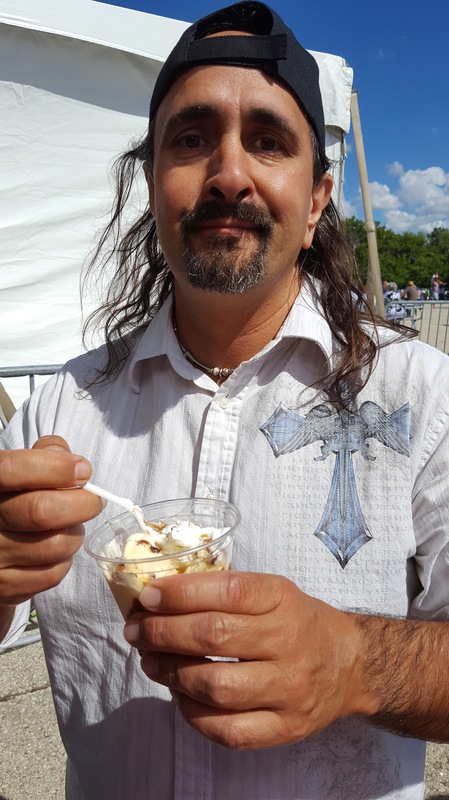 Here is a picture of me at Greek fest. It is a festival celebrating the culture of the people of Greece. I am not Greek, although I am Armenian which is close. Last year I did a video on my YouTube channel and featured it on this blog from another cultural festival. In it I mentioned the benefits of getting to know both your own culture as well as that of others. Their food, their traditions. What I am eating here is a baklava sundae. Very delicious and is a mixture of walnuts, honey, chocolate, ice cream and some other goodness I am unaware of. Yesterday we mentioned a plan for transforming your life. Each day this week we will be looking at ways to make your practice more powerful and your results more amazing. We will also look at ways that will add joy to the process and make it more fun to do. One of these is finding the dessert in any situation. That is, what is the best of what each situation has to offer. Who doesn’t like dessert right? It doesn’t just apply for food though. No matter where you are or what you are doing, look for something you would enjoy. Keeping your mood positive not only helps us achieve our goals faster, it makes the journey, which is where we spend most of our time, a lot more enjoyable. Make sure to check back each day this week for more tips on enjoying life and achieving your goals with ease and joy. Previous Post I DARE YOU….